Music experts saw this coming. First jungle was enriched with melodic tunes that resulted in the creation of artcore, next, of jungle’s components got mixed with breakbeats and syncopated rhythms from the future. The name of jazzstep speaks for itself—that sound and manner of performance that help you distinguish jazz from any other genre in the world make the foundation of this subgenre. The second part of the name (step) means a distinctive drum beat. 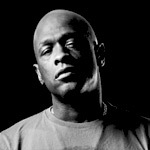 Jazzstep is characterized by the use of lighter, jazzy beats. From rough, unshaven and wild fellow jungle turned into a well-groomed sophisticated aesthete. 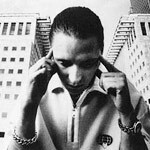 Roni Size is considered to be the first one who set the direction for the development of the new subgenre by releasing a low-key record named Music box in 1993. Later this track was re-released several times, each time slightly altered and re-worked, yet its core remained the same: smooth, sandy-sounding drums and soft keyboard riffs. Savvy experts of jungle were impressed. It took off from there. After the track It’s a jazz thing was released, the last year’s Music box seemed like an overture to the arrival of jazzstep. Double bass was introduced into the genre, reminding of the outlandish Jamaican dub music. Size proved that Music box was not just a one-time experiment and continued to gratify the ear with warm sounds produced by the iconic minimoog synths. The word ‘jazzstep’ has not appeared yet and Size’s attempts were called jazzy jungle—the word expression that best defined the drum pattern and the sound o the new phenomenon. 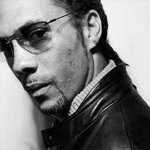 Soon Roni Size recruited a whole band of seven musicians: vocalists, drummer, bassists, and keyboardists. Together they formed an act Reprazent and began to release music that sounded like something between jazzstep and drum’n’bass, a spacey kind of jazz, the kind you would associate with suburbs and ghettos. Jazzstep is actually a great example of how digital music and live instruments can merge together. Jungle used to be purely synthetic despite the presence of samples taken from the records of live instruments and keyboard riffs sometimes played by DJs’. There were very few attempts to make jungle sound more ‘live’ indeed. 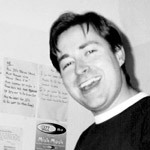 Adam F was a little ahead of Roni Size when in 1996 he released a very interesting work named F-Jam on his own label. You can hear flute, trumpet, bongo, jumping bassline and rapping of MC Conrad, one of Good Looking Records label’s residents all becoming one in the heat of rhythm. After a major split of musical scene jazzy jungle was replaced by jazz&bass. This term was chosen as the name of the compilation that was released piece by piece for eight years by the New Identity label belonging to DJ SS. 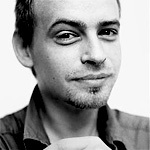 In 1995 Fabio established his Creative Source label that slowly but steadily continued to influence intelligent drum’n’bass, The label’s first release was Carlito’s vinyl record (also first in the Liquid Funk Volume 1 compilation)—a nice fusion of jazz, drum’n’bass and just a little bit of soul. It is assumed that Fabio was the first one to introduce the term jazzstep in 1996 and the SOUR label picked it up and released the compilation A jazzstep injection into drum’n’bass in the same year. The middle of the 1990’s was the most successful and fruitful time for jazzstep: in a matter of only few years there appeared a lot of talented musicians each having his own vision of jazz music. You could hear very different versions of jazzstep: from very eclectic records where jazz samples were chaotically scattered about the instrumentals to overly sweet themes with atmospheric riffs, hot saxophone and soft drums. Such diversity had its impact on the compilation market: the period from 1995 to 1998 saw releases of a great number of thematic compilations each revealing most different methods of applying jazz components to drum’n’bass. History of jazz extends back over a hundred years. A great number of people coming from different places each having its own distinctive culture, musical dialect and sound, influenced the genre and created other subgenres and new musical movements. Jazz is a versatile genre that can offer a lot more than an average listener expects. Jazzstep is almost as versatile as jazz itself. 1994 saw the release of Parallel Universe by 4hero duo, an album that combined the delicacy of artcore and the roughness of jungle. In 1998 they released double album Two pages that was nominated on Mercury Awards the same year. The record did not receive the well-deserved award, yet the listeners saw its true value. This was a rich sounding album infused with various features of different musical styles: funk, soul, jazz, drum’n’bass and ambient. Two pages is, in fact, two worlds. One of them features only live music recorded by numerous musicians (the list of those involved is quite impressive) with Dennis and Mark playing synth and percussion. The ballad Escape that is a great illustration of how compatible electronic and traditional music can be. No wonder that jazz and jazzstep sound so well together. The act Blu Mar Ten was formed while artcore was gaining momentum. They were promptly noticed by the almighty LTJ Bukem, founder of Good Looking Records, who signed them to his label. This duo mixed very lush, multilayered and melodious drum’n’bass with fragments of live musical instruments making intelligent’s fans happy. Play A drift in a deep water, close your eyes and imagine a speedy ride on a white yacht across an endless blue ocean. How can the charm and the clarity of this music leave anyone untouched? 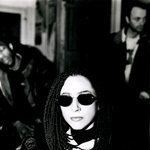 In 1995 three musicians gathered in Bristol in order to record an album. They seemed like an epitome of jazzstep: a duo of local electronic musicians and a girl from Los Angeles who combined jazz, downtempo, reggae, dub, hip hop, soul—anything that came into her afro bunches covered head. Thru the Haze album was recorded during the winter of 1995—96 and released a year later on a local label Cup of Tea Records that focused on eclectic sound collages and the work of the Jaz Klash definitely fell into the category. Meanwhile, in the cold city of Saint Petersburg of the newly independent Russia, two young musicians in their early twenties jumped into the British hype wave and in 1998 released the first jungle album in the country (a landmark record for Russian electronic music) named Vremya Pesok (Time is like a handful of sand). The beginning of the album sound calm and artcore-y, yet it gradually changes and turns into breathtaking jazzstep. Two Russians mixed syncopated rhythm patterns with fragments and samples taken from the old days of jazz when the newly emerged style from America sounded fierce and wild. At times the music sounds as if you were at a live concert and the music was played online: the DJs are here, well-educated musicians are here, the energy fills up the room. It feels like you are on a real jam session. This is almost Adam F, yet more free and easy. Both sides of the Jazz it up album feature the combination of drum’n’bass with fragments of live jazz concerts. Actually, the presence of a comparable number of live jazz instruments on the record, whether they are sampled or not is what distinguishes jazzstep from artcore. Nice light drums, soft melody flowing from the left channel to the right one, horns—trumpet or saxophone, doupble bass serving as a taut foundation for a track. To cut a long story short, saxophone featured on an artcore track does not immediately turn this track into jazzstep. Jazzy feeling does that.